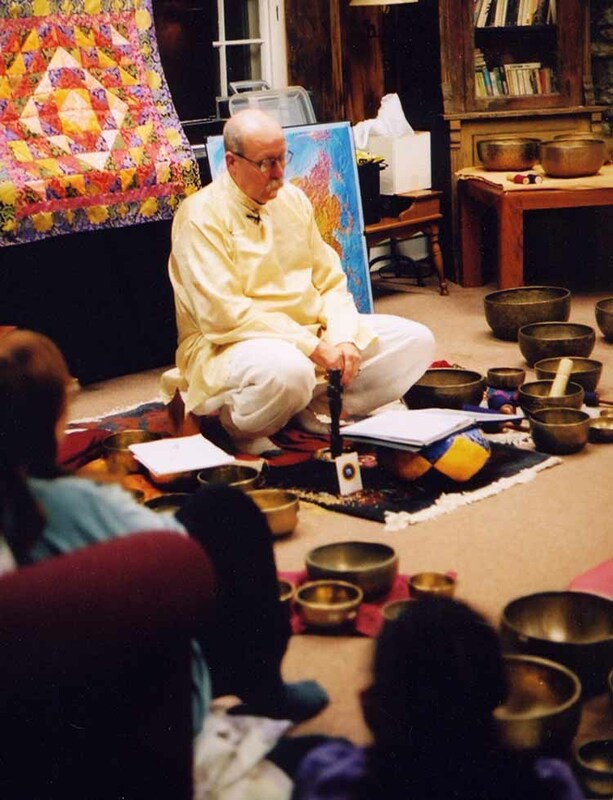 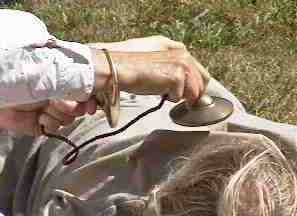 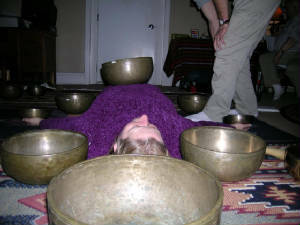 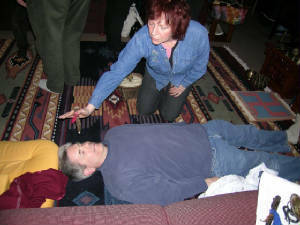 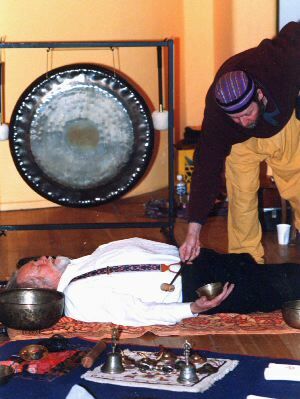 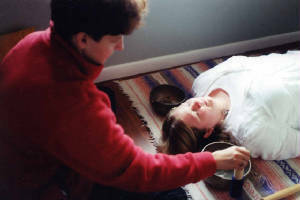 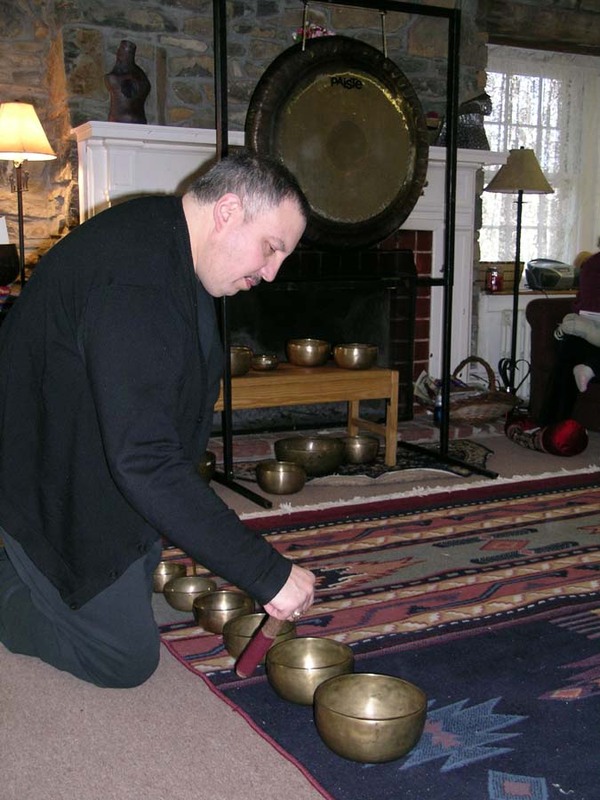 Mitch Nur demonstrates 'healing techniques' with Himalayan Singing Bowls on 'Harold' at the Sacred Sound Workshop, Santa Fe-New Mexico, 1998. 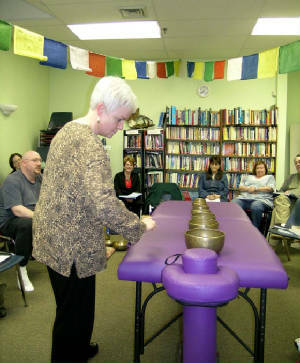 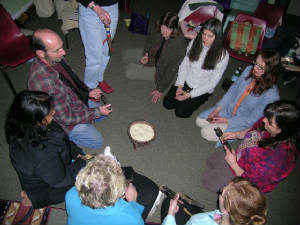 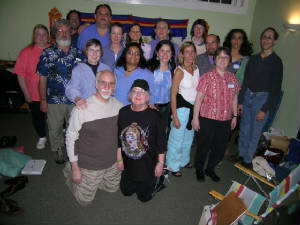 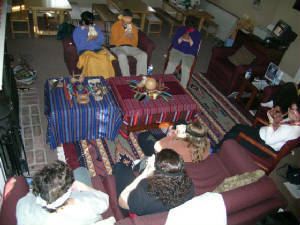 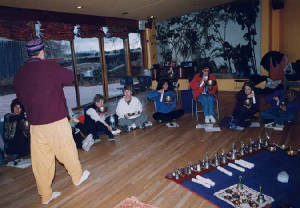 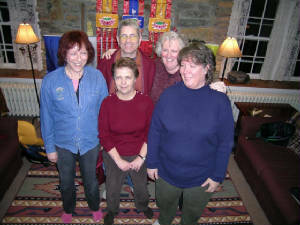 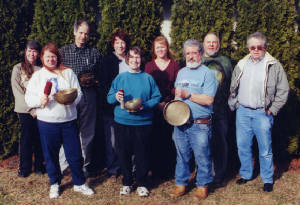 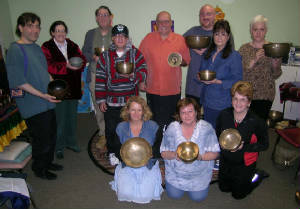 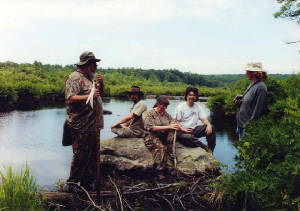 Mitch leads the class through playing techniques with Himalayan Singing Bowls. 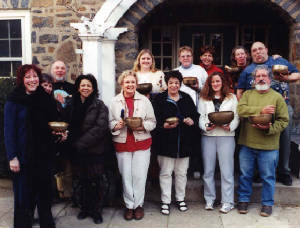 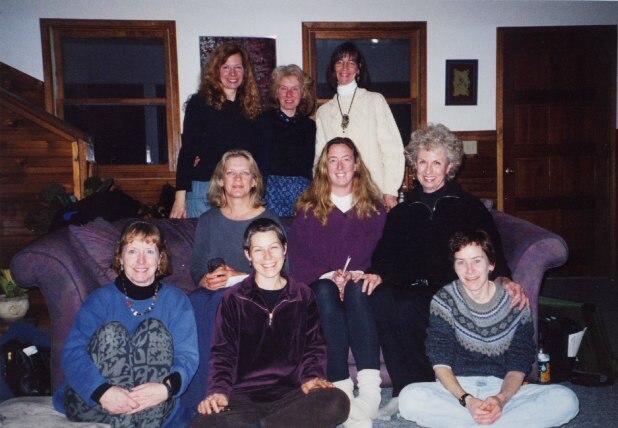 Santa Fe 1998.